Eliseevite: Mineral information, data and localities. In honor of Nikolai Aleksandrovich Eliseev (Dec 7 1897– June 24 1966), a remarkable Russian geologist and petrologist, Professor at Leningrad State University, in recognition of his contributions to the geology and petrology of metamorphic and alkaline complexes. Closely related to lintisite and punkaruaivite. hydrothermally altered ussingite pegmatites within the layered complex of malignites, foyaites, and foidolites with lenses of poikilitic nepheline syenites. Formed as a result of alteration of murmanite. Yakovenchuk, V.N., Ivanyuk, G.Y., Krivovichev, S.V., Pakhomovsky, Y.A., Selivanova, E.A., Korchak, J.A., Men’shikov, Y.P. and Drogobuzhskaya, S.V. (2010) Eliseevite, IMA 2010-031. CNMNC Newsletter, October 2010, page 900; Mineralogical Magazine: 74: 899-902. 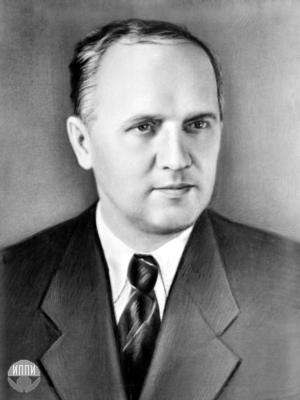 Yakovenchuk, V.N., Ivanyuk, G.Y., Krivovichev, S.V., Pakhomovsky, Y.A., Selivanova, E.A., Korchak, J.A., Men'shikov, Y.P., Drogobuzhskaya, S.V., Zalkind, O.A. (2011) Eliseevite, Na1.5Li[Ti2Si4O12.5(OH)1.5]∙ 2H2O, a new microporous titanosilicate from the Lovozero alkaline massif (Kola Peninsula, Russia). American Mineralogist: 96(10): 1624-1629.